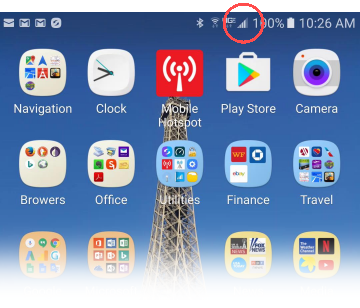 Take a look at the notification bar at the top my Samsung Note 5 screen: The signal indicator says I have 4 bars (circled in red). To most people that says “very good signal.” But is it, actually? 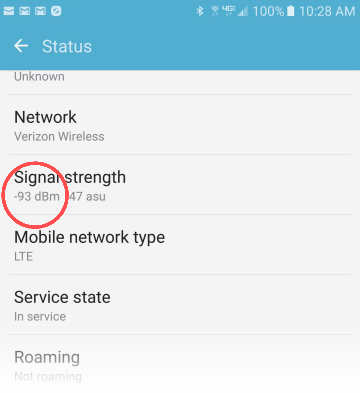 How is signal strength actually measured? One milliwatt of power is equal to 0 dBm. 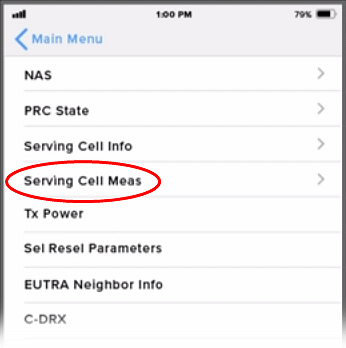 Since cellular signal operates on less power than that (as low as 0.0000000001 mW, sometimes less), dBm signal strength is measured in negative numbers. The closer you get to 0 dBm, the stronger the signal; so, −70 dBm is stronger than −90 dBm. Any change in dBm (gain or loss ) is noted in ±dB. 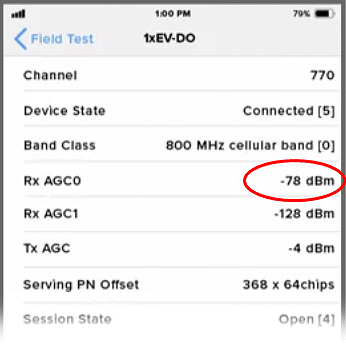 So if you start with −90 dBm of cellular signal, and you install a cell phone signal booster system that gives you +30 dB of gain, you’ll end up with −60 dBm of signal. 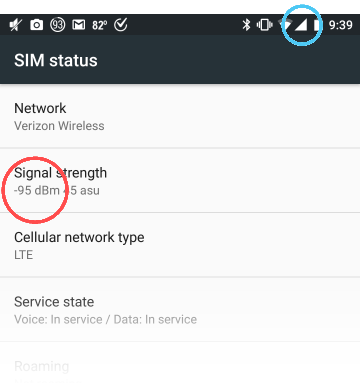 So, what is considered strong or weak cell signal? 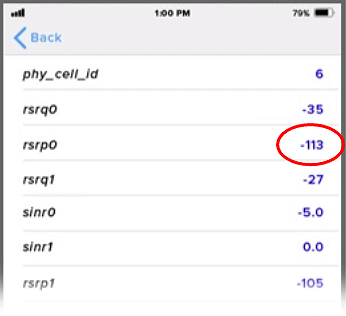 Professional signal meters tend to give readings about +20 dBm greater than what your phone will display, so add 20 dBm to the figure on your phone. Stock Android phones (like the Nexus and Moto X) and newer Samsung Android phones (like the Note 8): Go to Settings (the “gear” icon), tap About phone , tap Status , then tap SIM status (or SIM card status). Older Samsung Android phones: Go to Settings (the “gear” icon), tap About Phone , then tap Status. 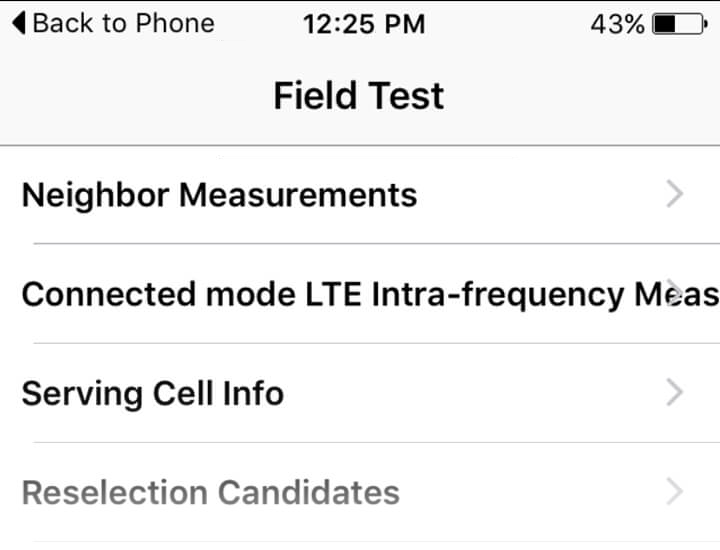 This will put your iPhone into Field Test Mode. 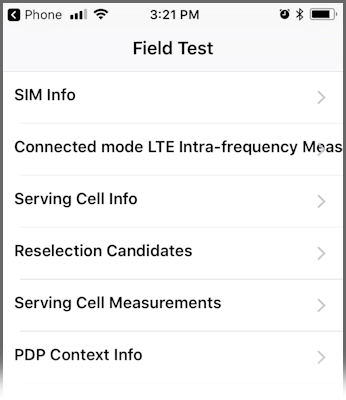 If your Field Test Mode screen looks like this, unfortunately your combination of chipset and carrier does not allow you to get a cell signal reading in dBm. You’ll have to take a signal reading with another iPhone or Android phone. 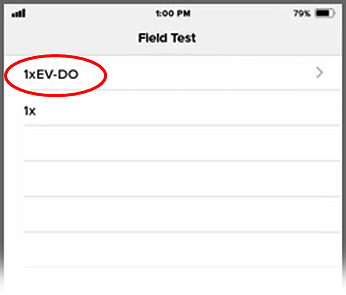 Once you’re in Field Test Mode, press and hold the Power button on the side of the phone until the “Slide to Power Off” message appears, then release the power button. Press and hold the Home button until the Home screen appears. 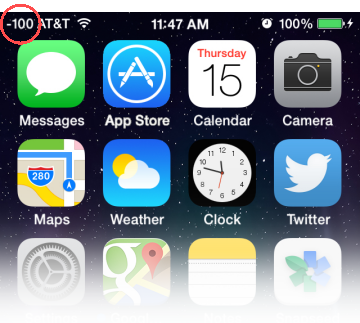 The bars or dots at the left side of Status bar at the top of the screen will be replaced by a number showing the iPhone’s received signal strength in dBm. Add +20 dBm to the figure shown there (change −100 dBm shown below to −80 dBm). This change is permanent until you reverse it. 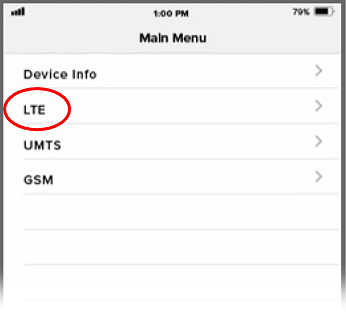 To return your display to bars or dots, repeat step 1 (above); once you’re in Field Test Mode, tap Back to Phone at the top of the screen, and your phone will be back in its original display state.